KIA Cerato 2006 is a great car that has passed the test of time. It is particularly popular for its value. Excellent build quality and economy - these are its main advantages. This car is perfect for long trips, and for urban conditions. These cars leave much to be desired. 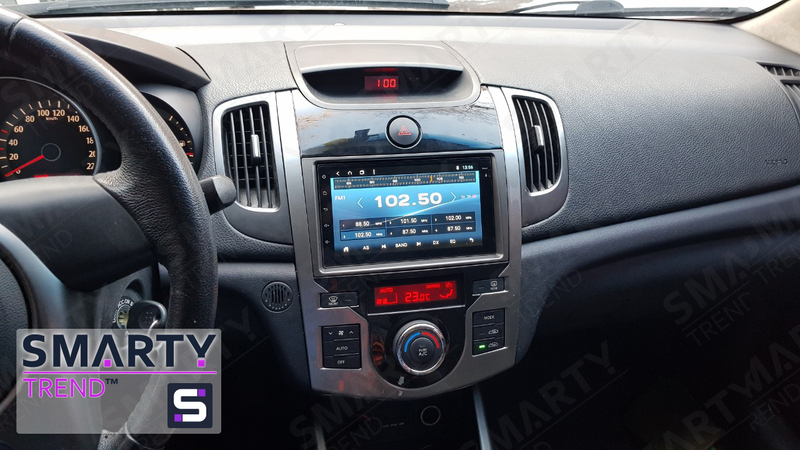 Company SMARTY Trend will help you improve your car today! The main feature when installing the head unit on this car is the use of a special transition frame, which is selected individually for each of the complete sets of this car model. It is necessary to note the full support of all the regular functions of this car. Connection is based on the principle of pin to pin. Everything you need to install the unit SMARTY Trend is available with this unit. And ease of installation will not take you much time. This unit SMARTY Trend is based on the basis of Android 8.1 to date. You can use any accessories, including various flash memory media. The head unit supports any audio and video formats. The ability to use various applications. Thus, at your disposal a huge number of new features! Problems with the missing navigation system the SMARTY Trend device provides any navigation software that is compatible with the Android system. The location is determined using GPS communication. You can choose exactly that type of navigation system winch one you want. Thanks to the SMARTY Trend head unit, all the standard vehicle functions are supported. High-quality materials and a powerful operating system provide phenomenal productivity of the device. Use the technology of tomorrow today!